Middlebridge purchased two of the 'top spec' EVO BMW M3'3. (Chassis M31 / 60) was campaigned by Anthony Reid, Professional Racing driver, Stunt Driver, BTCC contender and British Land Speed record holder. Anthony managed to get on the podium at the 'Le Mans 24hr'. 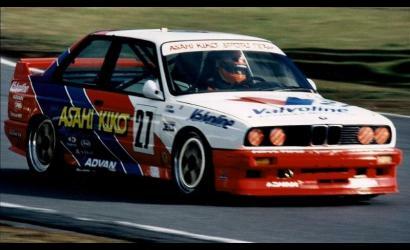 He was backed by Tomei Sports, with Asahi Kiko and Valvoline sponsoring him in 1993 which was the last year of the JTCC Group A.